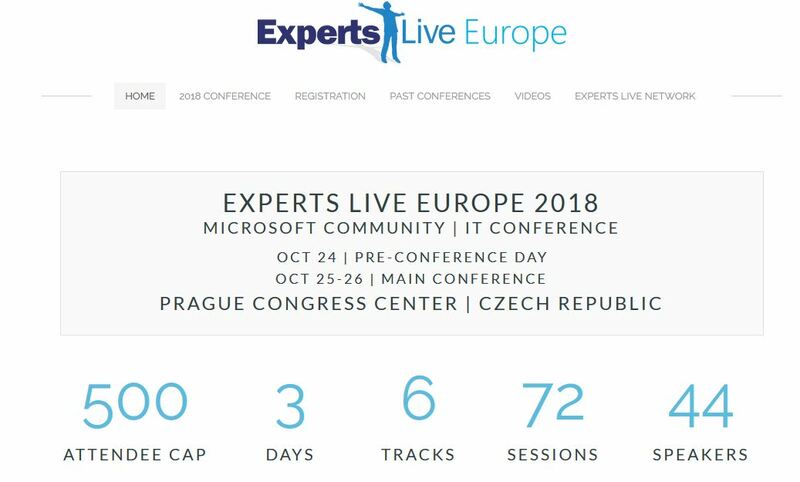 I am honored and happy to have been selected as a speaker for the excellent Microsoft community driven yearly conference named Experts Live Europe. This year it is held in Prague 24-16 October in the Prague Congress Center, MVPs, Regional directors and other industry experts will be flying in from all over Europe (some from the states). Attendees are also coming from all over Europe. There is so much fun things going during the conference days and the organizers are doing an awesome job. Isidora, one of the main organizing forces, has done a great series of 5 top questions answered about the upcoming Experts Live Europe , check it out. 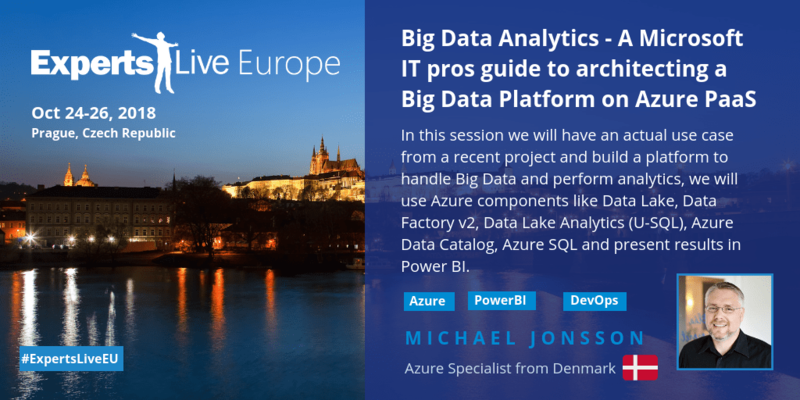 I have 3 session to deliver during the days focusing on the modern cloud enabled data platform. Azure Cosmos DB – One DB to rule them all? I have a red line across the sessions and bring the latest experience from projects, having watched some of the Ignite sessions relating to the topics, i promise i will tell you the fine print that the Ignite sessions does not touch :). Hoping to have some discussions with people during the days on related experiences. Really looking forward to the Experts Live Europe conference and getting the chance to connect with everybody on site.